Leading property-firm Knight Knox International is delighted to announce the launch of its brand new exhibitions video, which explains both the history and importance of property exhibitions, in addition to highlighting the company’s position as one of the most regular exhibitors on the worldwide property exhibition circuit. Attending around 25 exhibitions a year, with a full-time exhibitions team in place to ensure coverage around the world, Knight Knox International is a company perfectly placed to tell the on-going story of the global property exhibition. This latest video in the company’s series of online guides pictures members of the International Exhibitions Team, along with the UK-based sales team at an international show; informing viewers of how the significance of worldwide property exhibitions soared once European markets such as Spain crashed, as investors desired to look further around the world in search of the perfect investment vehicle. Knight Knox International has just exhibited for the first time in Australia and will venture to Russia twice towards the end of 2013, as the company continues to offer face-to-face consultation with overseas clients, with attendance confirmed for this October’s Property Investor Show. 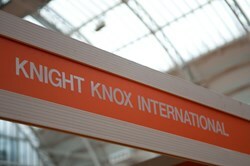 A consistent attendee at exhibitions arranged by the most prominent exhibition groups, including A Place in the Sun, iProperty, Cityscape, SMART and Fair Media, Knight Knox International continues to hold its place as one of the most regular exhibitors on the worldwide property exhibition circuit. Knight Knox International has long since adopted a digital strategy to complement its UK-based sales and marketing team. From the launch of its brand new website in 2012 which hosts video testimonials and other media content, to creating this new series of online investment guides, the company is ploughing forward with an aim to keep its content fresh and innovative, in an increasingly competitive market.